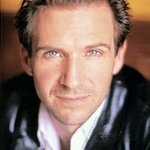 Ralph Fiennes has appealed to Fortnum & Mason to stop selling foie gras – which is illegal to produce in the UK on animal welfare grounds. “Animals and their welfare mean a lot to me and to the majority of the British public. . . . As managing director, you have the power to end the company’s involvement in this cruelty. I hope you will make the only acceptable decision by following the lead of other British department stores, such as Selfridges and Harvey Nichols, that have already banned foie gras from their shelves and menus”. Fiennes’ action comes after PETA showed him undercover video footage, narrated by legendary actor Sir Roger Moore, which exposed terrible abuse on foie gras farms supplying Fortnum & Mason – including at an abattoir, where birds had knives plunged into their throats without prior stunning, in contravention of both UK and French law. Tens of thousands of PETA supporters have written to Fortnum & Mason urging the store to stop selling the product. Dame Vera Lynn, Twiggy, Joanna Lumley, Chrissie Hynde, MP Zac Goldsmith, Brigitte Bardot, Bill Oddie, Emma Parker Bowles and Arlene Phillips are among the other high-profile people calling on the store to rid its shelves of this torture in a tin. Animal-protection groups – including the Royal Society for the Prevention of Cruelty to Animals, Compassion in World Farming, Animal Defenders International, Animal Aid, Viva!, Four Paws, OneKind, and Save Me – have also joined PETA in calling on Fortnum & Mason to stop selling foie gras.